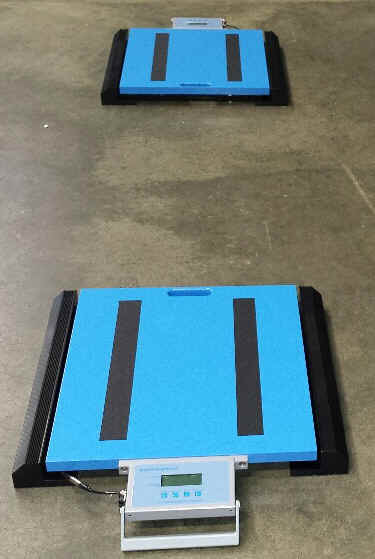 20,000 lb capacity per pad / 40,000lb per axle also available in 30,000 lb, 10,000 lb & 5000 lb capacities. 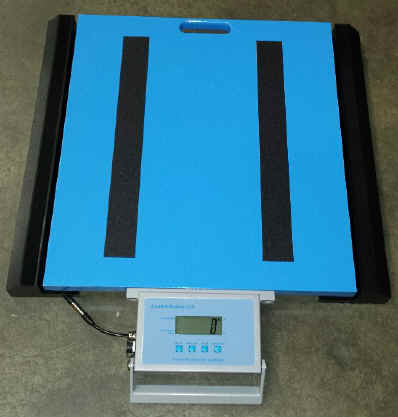 22" Wide platform will accommodate dual tires easily and safely. Non-skid pattern ensures maximum grip in wet or snowy conditions. 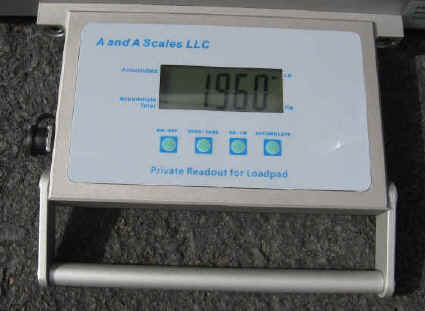 Weighs in Lbs & Kgs. 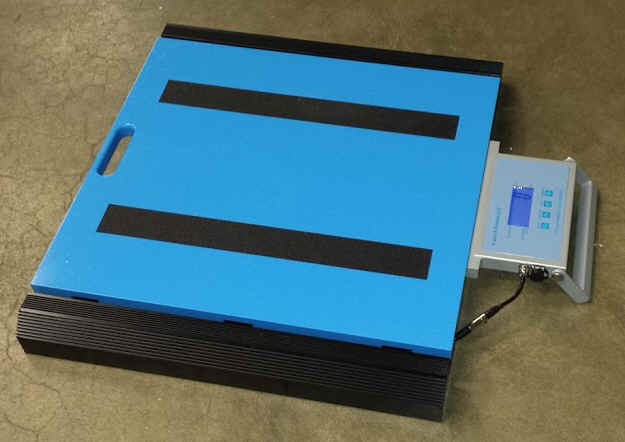 Built-in ramps for greater portability, each scale weighs 57 lbs.